Save 25% off our moisturisers until midnight Sunday 28th April 2019. Moisturisers with 25% include the following: Collagen Boost Moisturiser, Moisture Rich Face Cream, Balancing Face Moisturiser, Natural Protection Moisturiser SPF25, BB Natural Perfection SPF25. Customer must be logged in to redeem the offer. Subject to availability. Whilst stocks last. Offer entitles user to 15% off their first order when entering the code: WELCOMEBALANCE at the checkout. Offer not valid with any other offer or codes. No cash alternative available. Subject to availability. Offer valid for 7 days from date of sign up. For full terms and conditions please see our website. The competition ends midnight Tuesday 30th April 2019. The winner will be contacted by email. 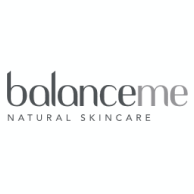 The winner will receive a selection of Balance Me skincare and body products. The prize is non-transferrable and no cash alternative will be offered. The winner will be contacted by email. Competition prize can only be sent to a UK address. Offer entitles user to 15% off their first order when entering the code: HELLOBALANCE at the checkout. Offer not valid with any other offer or codes. No cash alternative available. Subject to availability. Offer valid for 7 days from date of sign up. For full terms and conditions please see our website.